Do you ever feel really old? I stayed up late last night and today, I feel like I am carrying a heavy load like this old tortoise. What happened? I used to stay up all night painting with little side effect but now I have trouble seeing as well at night and trouble moving the next day! 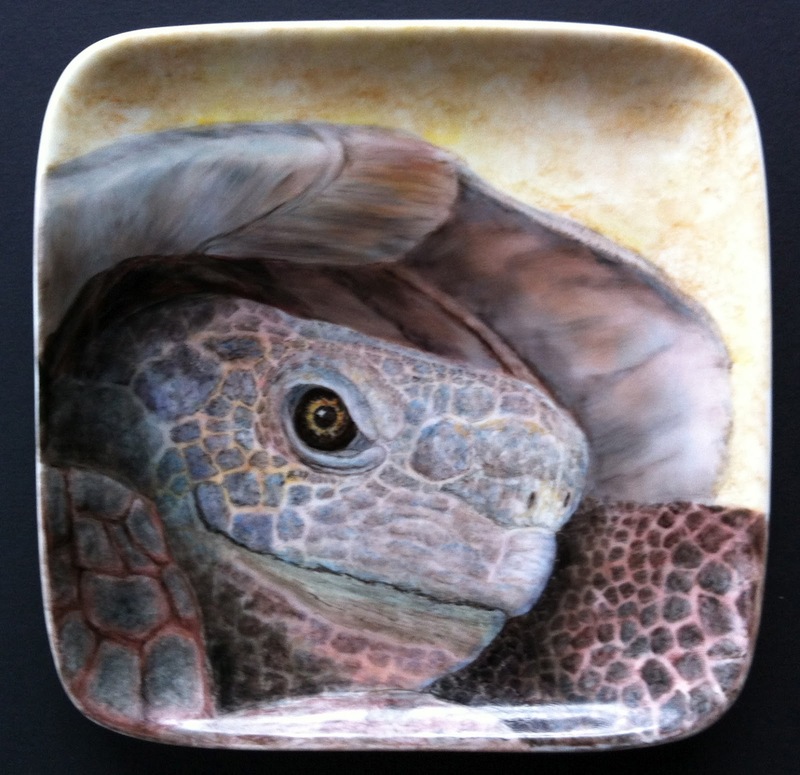 This is a 7x7 inch tray with a grumpy ol tortoise. (Maybe he is grumpy because I painted this a while back and didn't put his photo on the blog!